You will be downloading the steps for long division that your students can use as a reference. Your students will enjoy the family acronyms (Daddy = divide; Mommy = multiply; etc.) 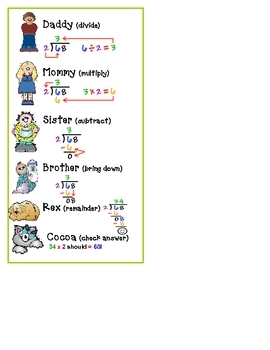 to help them remember the steps in long division. I recommend cutting and laminating the attachment for durability. I hope your students will find this helpful!